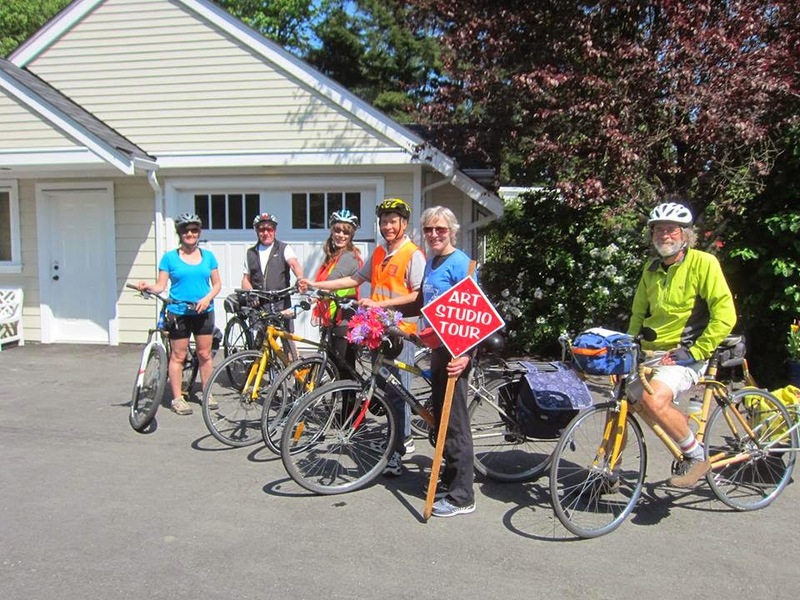 The weather was fabulous on Sunday, just perfect for our first Art Studio Bike Tour. It happened to coincide with Mother's Day, which I thought was going to bring out lots of moms. Not so. We only had 8 people altogether on our tour. It made it certainly more relaxing for me to have fewer people than expected, so I thoroughly enjoyed myself. As did the others. The art was amazing. We saw a.o. beautiful paintings by Diane Speirs, clearly inspired by the beautiful nature in our area, lifelike wood sculptures by Bruce Rothe, made from wood found by the Fraser River and beautifully transformed into various types of fish such as, of course, salmon. Also beautiful glass dishes and jewelry by Jane McKay, more gorgeous paintings by amazingly versatile artist Elaine Booth-Kallweit, leather art by Joie Pare, and more. I'd love to do this again next year. I read some interesting articles in the paper about some of the other artists in the Tour. 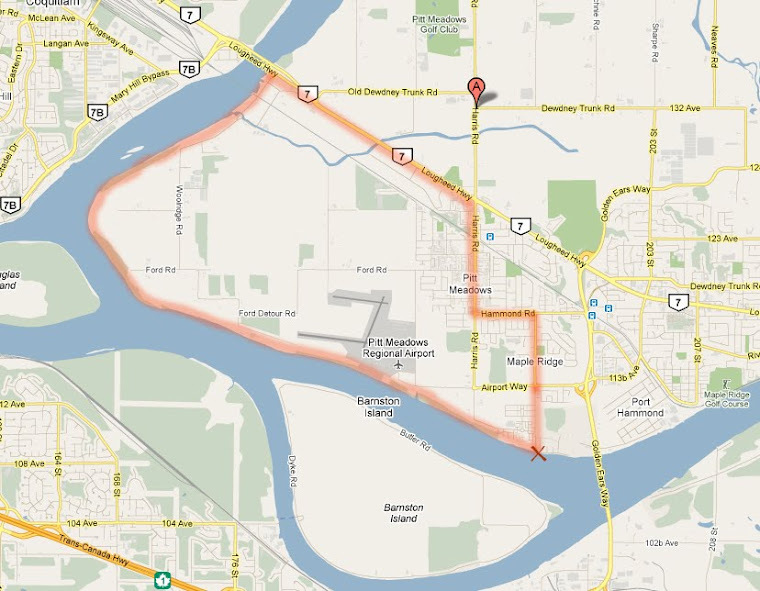 Perhaps our next one should be in Pitt Meadows: great art, and suitably flat terrain!